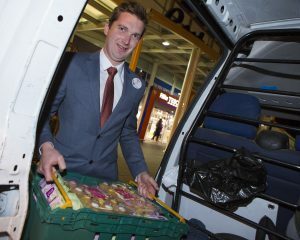 At Tesco we have no time for waste. We believe it’s simply not right that surplus good food should go to waste when there are people in our communities who need it. That’s why we’ve made a commitment that no food safe for human consumption will go to waste from our stores in Ireland by 2020. We know that’s a big commitment, but its one that we’re working hard to achieve with the help of our colleagues, suppliers and community groups across the country. To reach this target we need to make sure that we not only minimise food surplus in our stores but also make sure that we maximise donations to those in need wherever we have surplus food to give. At Tesco, we have no time for waste. We believe it’s simply not right that perfectly edible surplus food should go to waste when there are people in our communities who need it. That’s why we were the first retailer in Ireland to launch a national surplus food donations programme which has provided over 6 million meals to those in need to date. 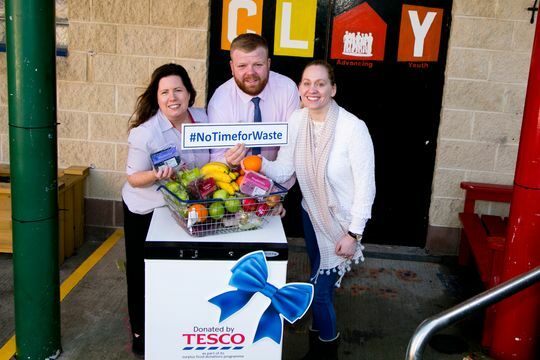 In 2013, Tesco partnered with FoodCloud, an Irish social enterprise that links businesses who have too much food with those who need it most. 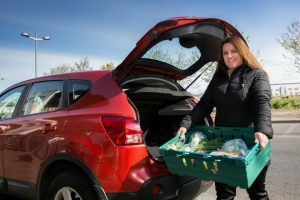 Working with FoodCloud and over 300 local charitable groups we redistribute surplus food at the end of each day to families in need in our communities. This food is perfectly edible but because it is nearing the end of its use by date, it isn’t put on sale the following day. 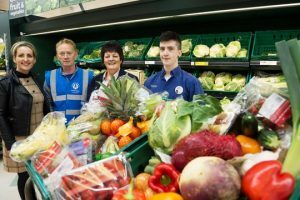 Donations usually comprise a mix of fresh fruit & veg, bakery, meat and more. 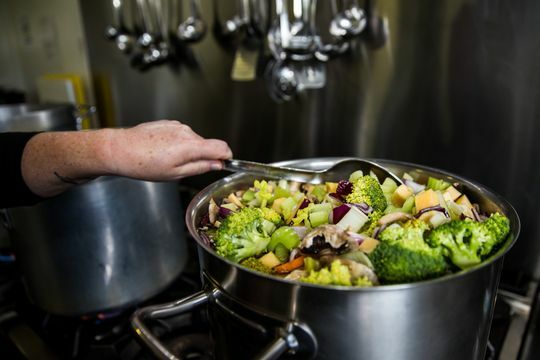 Working with existing partner groups we have enabled the charitable sector in Ireland to save over €6.5 million off their food bills to date as reported by FoodCloud, empowering them to invest into providing a greater level of support services in towns and cities nationwide. 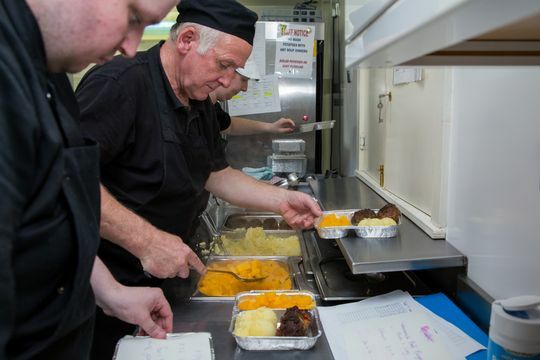 We know from working with 300 local groups on our surplus food donations programme that having enough fridge and freezer storage space in their premises is an issue that limits the amount of donated food they can take. 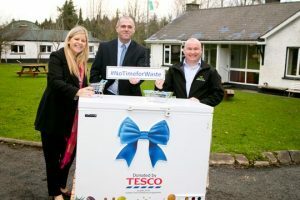 To help, we’ve launched the Community Chill, a community support initiative through which we will donate free fridges and freezers to local groups who collect surplus food and redistribute it to those who need it most, allowing them to maximise their capacity and continue to build the fantastic services they provide in our communities. So far we’ve donated over 140 free fridges and freezers to community groups across Ireland! 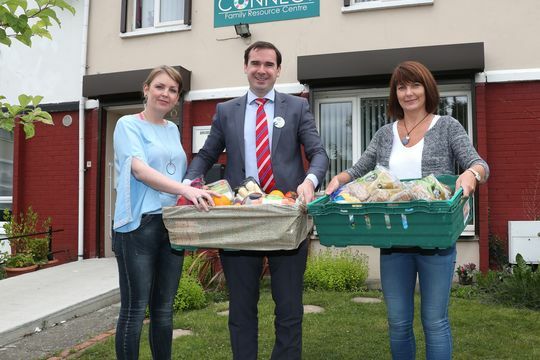 We’ve also donated 20 decommissioned Grocery Home Shopping vans to causes across Ireland that needed support to transport surplus food to those in need including FoodCloud, Dublin Simon, COPE Galway, Feed Cork and more! 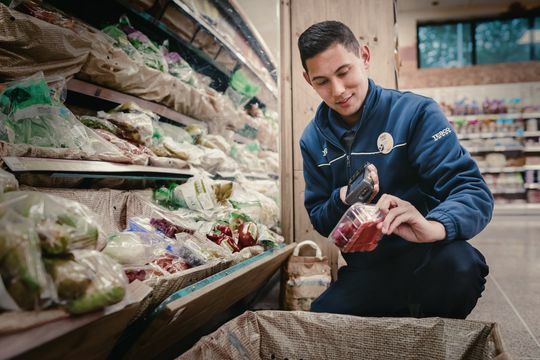 As we work towards achieving our 2020 commitment on food waste, its really important that we fully understand our baseline – that is, how much food waste we actually generate in our stores each year. To do this, we worked with a sustainability consultancy to calculate how many tonnes of food waste occurs in our business each year broken down by product category so we can identify hotspots to focus on. In 2017 we became the first retailer to publically publish our food waste data in Ireland, providing transparency about the level of food waste in our business, and in April 2018 we published our food waste data for last year too.